In time, I'll appreciate the season we had, but in sports, you must take advantage of opportunities given to you in Championship Games, because you never know if or when you'll ever get back. A bitter pill to swallow on so many levels. Easily the worst game they played all year. Once again my lifelong team underwhelms on the biggest stage. Epilogue: Sean, take a step to the front. No Sean, Simon didn't say "Simon Says". I have to resist the impulse to poor-mouth a Coach who in two seasons revitalized a moribund team. I hate to make comparisons to sMartz already, but sMartz proved himself to be an offensive wunderkind who ultimately failed at overall game management. Apparently, DrCoach didn't read the memo he wrote about playing the game. You know they watch film right? You know it's a copycat league right? You knew the Pats would watch the Det/Chi/Phil games and learn what chewed you up right? You knew you had to employ Gurley for PA to work right? You knew you had to keep the pressure off Goff. You repeatedly said as much. Yet, despite all this ownership of responsibility you let Goffensive stare into the bright sun without a pair of sunglasses, let alone polarized-ones. Ok, play coy about a possible Gurley injury, but 100 yards against Dallas and a 30 yd TD suggests that a 50% Gurley is better than holding him on the sideline. Breaking those two first down runs in the 3rd/4th (?) while coupled with his visible enthusiasm coming back into the huddle to be fed more often, tells me all about Gurley's willingness to play through injury in possibly the biggest (and only SB?) game of his career. What the fuk were you saving him for? Next year, which may never come? I can only echo that I too would have been taken to the woodshed and beaten like an old rug if you would have forced me to choose sides as to which side of the ball wouldn't hold up its side of the bargain. Outcoached? Nah, more like coaching malpractice. Of course, I'm delighted with the team's resurgence and return to contention under McVay, and don't want to be ungrateful for the excitement of following the team right now. We are the NFC champions, and that's a big accomplishment that deserves celebration and recognition. I'd rather be us than any other team in the NFC. But to end the season with your very worst performance, 2 seasons in a row, is significant and very disappointing. I could take losing a game where the Rams play like the Rams at their best, but get beaten by superior play. But to show up as the worst version of yourself when the game is most important, and lose a winnable game... For all his success thus far, this is a serious failure by McVay and his team, and he must figure this out to achieve long term success and championships in this league. As the whole world saw, he was thoroughly outcoached in this game - game planning, play calling, adjustments, etc. Our boy wonder HC still has much to learn to keep his offense a step ahead of the opposing coaches. The Patriots defense was the best unit of any team in the playoffs. They won the line of scrimmage against the Rams O line, plain and simple. Made it difficult (not impossible!) to run, and put a great deal of pressure on Goff. McVay erred grievously by losing confidence in the running game, failing to use creativity to use short passing plays and screens as a run substitute, and trying to have a harried Goff and his WRs carry the offense. This is not an isolated occurrence. He fell into this hole regularly as we went 5-3 over our last 8 games. Goff thrives with the support of a primary running game and solid pass protection (as many QBs would). And then there's the other Goff, inexperienced, under pressure, trying to do too much, making bad decisions and bad throws. And McVay enabled the environment for the "other Goff" way too much in the latter part of the season. We basically had 2 seasons. In the first, our offensive line and running game were working at a high level, enabling our play action game, and we were 10-1, outscoring teams while our D was trying to pull it together. In the second, our O line was inconsistent, Kupp was out, Gurley was lame and/or mentally distressed in some way, McVay lost full confidence in the running game, and Goff struggled accordingly, while the D came on and kept us in games. The very worst versions of our offense showed up in the Chicago game and the Super Bowl. They seemed like pretty similar offensive performances against pretty similar defensive performances to me. This is a serious situation about Gurley. He came out of college with a damaged knee, and now seems to be seriously hampered by that same knee. He’s played 4 seasons in the NFL, and RB careers are often short for exactly this reason. His HC has seemingly lost some confidence in him, he actually seems to have lost some confidence in himself, and there’s a weird vibe about the whole scenario. I would say the next phase of his career is in doubt at this point. We’ll likely learn more about this scenario as the offseason plays out. The O line is serious issue for the Rams. They rely on a couple of key older players, and clearly wore down as the season progressed. Blythe has mostly looked like a great UDFA find, but is undersized and was terrible in the Super Bowl. Havenstein made a couple of damaging pre-snap errors. The depth (Noteboom and Allen) is raw and untested. This unit has to be rebuilt/buttressed on the fly for the team to continue to have the same kind of offensive success. Big offseason issue/challenge, along with rebuilding the middle of the defense and figuring out the long term DB situation. 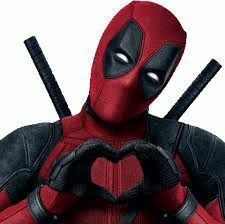 Commendations to Wade Wilson and the defense. They worked and improved steadily all season, peaked at playoff time, and were good enough to win a championship. I would say the difference in experience between Wilson and McVay shows in the progress of their units throughout the season, and their readiness on Super Sunday. Coaching experience matters, Rambros and Ramsisses. We just got a big lesson in that. Commendations to Wade [sic] Wilson and the defense. They worked and improved steadily all season, peaked at playoff time, and were good enough to win a championship. I would say the difference in experience between Wilson and McVay shows in the progress of their units throughout the season, and their readiness on Super Sunday. Coaching experience matters, Rambros and Ramsisses. We just got a big lesson in that. A super lesson for sure. Hopefully we now have a keener, more effective / successful and wiser head coach. Also, holding the Patriots to 13 total points (16 if not for their missed FG, still surprisingly few for NE) takes some doing! I look forward to the Rams Dee to continue developing into a brick wall. Valid criticisms of our offense. I would simply add that for the first time this season, I saw no adjustments after halftime. Clearly Belichick made the right decision to challenge Goff with an array of defensive schemes that had him confused. While I admire the growth Goff has shown since McVay's arrival, we need to hire a talented QB coach, presuming that Zac Taylor is headed to Cincy as their HC. We cannot assume McVay can handle all the offensive duties as playcaller, OC and others that I'm certain I'm overlooking. His aura took a serious hit yesterday and while I'm sure he'll resume his skills next season there were some very good lessons to be learned. Wondered if the absence of Kupp was a problem for Goff. The Gurley situation I'm hoping will be resolved with a solid off-season of rehab and rest. The arrival of CJ Anderson gives the Rams a good opportunity to not have Todd get 25-30 touches per game and work him into a healthy RB as we get to next season. The implication is that we resign CJ this off-season. The O-Line is another matter that will be attended to as we move through the off-season. It does bear mentioning that the line has remained healthy all season and that shouldn't be discounted. Very disappointing to watch us flub the game away and ruin what was an outstanding season for us. I must admit that it was nice not to be looking at draft prospects immediately after the last game of the regular season. We will be fine in the short term as we have our core players signed for the next few years and have developed a culture of winning that is attractive to players who are already here and those we may want to sign. The next big signing will likely be Goff. BTW, Seacone, I know you meant Wade Phillips as Wade Wilson passed away several days ago. That's what happens when you've been a football fan for a while. I would simply add that for the first time this season, I saw no adjustments after halftime. Surprising. Maybe it was too big of a moment for McVay also. On another note if Gurley was hurt why not start Anderson and why only rush the ball 18 total times the entire game? Why not throw swing passes or wide receiver screens? Why only 1 pass, incomplete, to a TE? McVay admits he was outcoached and I agree with him. I believe that if Gurley is having any difficulties they are mental. He didn't look phyically I jured to me at all especially on the 27 yard run that was called back.